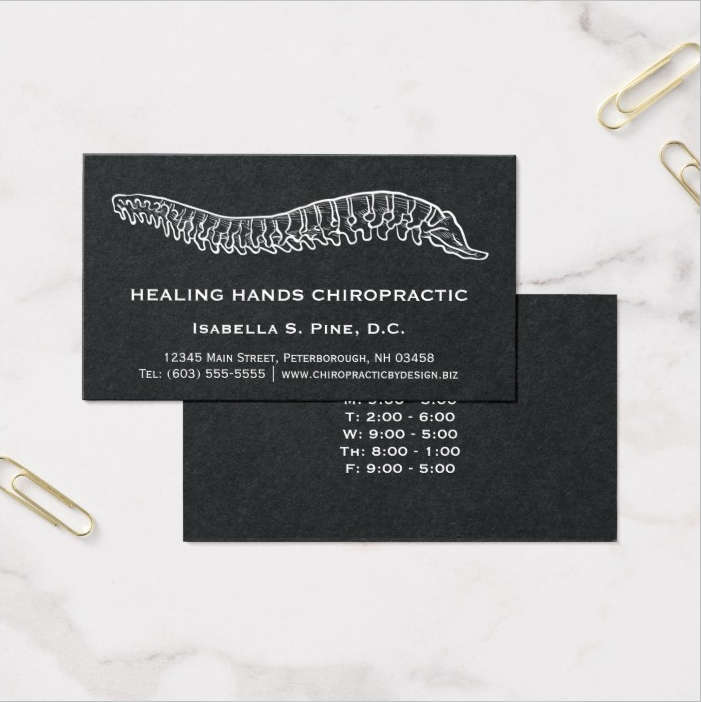 Choose from our unique chiropractic business cards, posters, t-shirts, kids stickers, mugs, gifts, fabric, and lots more! Products are easy to personalize, and custom design services are available. Customize our cards with your own logo, photo, or graphic, or use one of our templates just as they are. We currently have over 300 different designs to choose from. With three different sizes, two corner options and eight different paper choices, your options are endless! We carry a wide variety of chiropractic apparel for the entire family, including t-shirts for men, women, kids and babies, sweatshirts, embroidered polo shirts, and infant bibs. Almost all of our t-shirts can be easily customized with your practice information on the back. Our chiropractic stickers are the perfect choice for your chiropractic practice. They are great for promotion, mailing and of course, for your pediatric patients too. Kids love them! Round stickers are available in 2 sizes, and other sticker shapes available, depending on design. Our chiropractic posters are printed on a variety of poster media to suit your needs, including value poster paper, semi-gloss poster paper, archival heavyweight paper, and rolled canvas. Posters are also available with standard and custom framing and matting. Celebrating over 10 years providing our fellow members of the chiropractic profession with unique chiropractic designs that can't be found anywhere else. Choose from easy to personalize business cards, t-shirts and apparel, chiropractic stickers for kids, mugs, fabric and more! See our Frequently Asked Questions (and answers!) for more information. Thanks for visiting Chiropractic By Design™!